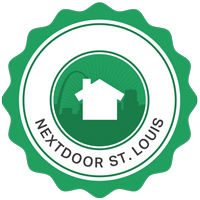 In order for a Corporation or LLC to acquire a liquor license in St. Louis City, they must document Neighborhood's Consent from within a Petition Circle. 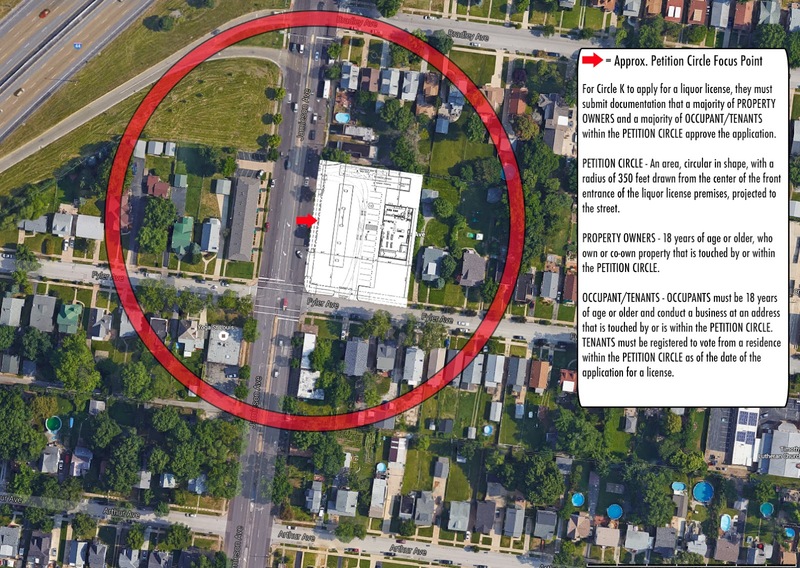 A Petition Circle is defined as "a 350ft radius with the center of the circle at a point projected from the center of the front of the premises (applied for) to the street." Neighborhood's Consent is defined as "a majority of property owners... and a majority of occupant/tenant..."
NOTE: Residential tenants may only be included in the consent count if they are registered voters. 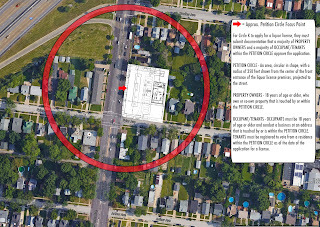 To collect neighborhood consent the business will be contacting property owners, registered voters, and business occupants within the petition circle. This will likely come in the form of a letter submitted through the Excise Division of the Public Safety Department and by representatives of Circle K canvassing the area. As of this writing (March 11, 2016), the corporation at Jamieson and Fyler has not initiated a liquor license application. UPDATE: Hurley & Hurley, an accounting firm that works with corporations to complete liquor license application requirements, submitted the liquor license application on behalf of Circle K on April 22, 2016. Using this approximation, the Neighborhood Consent would have to consist of no less than 31 property owner signatures and 36 registered voter/business occupant signatures.